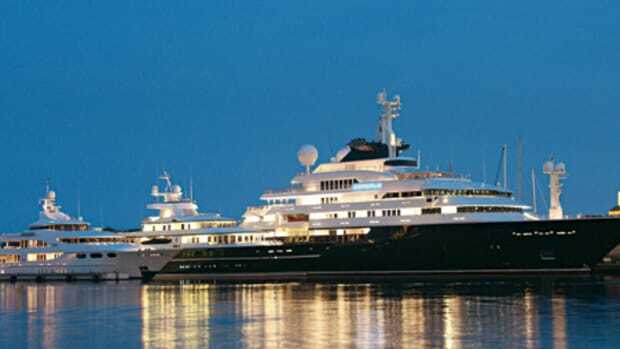 Pelorus and her owner, Russian billionaire Roman Abramovich, spent the winter cruising in the Indian Ocean, including the Seychelles and the Maldives. The yacht has a clever assortment of hatches that open up or fold down to reveal various tenders and their respective launching systems as well as verandas over the sea. She also has an elevator that takes guests up to the sundeck. 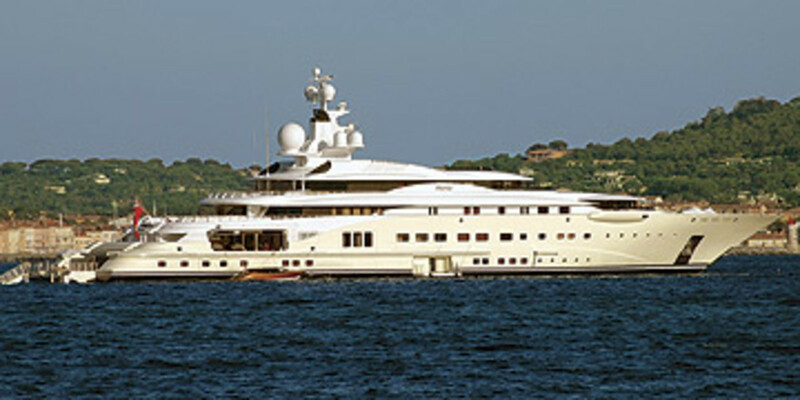 If the rumors swirling at presstime turn out to be true, then Abramovich will be sighting more than just distant shores from this yacht; word was that he’d have Pelorus and perhaps another one of his yachts (see Le Grand Bleu and Ecstasea) based in Germany during the World Cup matches his Soccer Club Chelsea was to be playing there.